Another favorite of ours for a quick meal is Gamasot on the wonderful Pannekoekstraat, where you also find Beijing Bao. 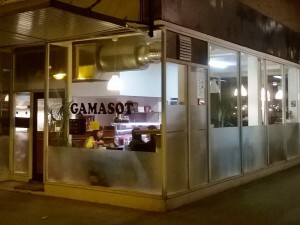 Gamasot is a small Korean restaurant with seating for only 20 people and a small menu of only 14 items. 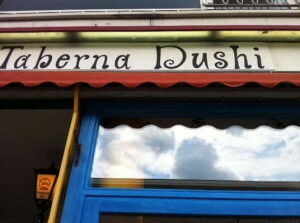 By now we’ve had everything on their menu and nothing has disappointed us so far. We keep coming back because the food is simply delicious.